We manufacture and trade the high quality of Flat Top Screen. 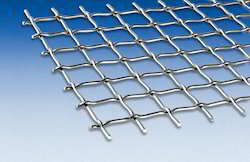 Some times screens with smooth tops are desired to reduce the abrasion of materials placed on the screens. To serve this purpose, our company manufactures flat top screens which are crimped normally on one side, but are flat on top. They are employed very commonly in companies where abrasion can cause harm to the products or hamper their desired properties.